Born in China, Anna Yin immigrated to Canada in 1999. She is a software developer by profession and a celebrated poet by interest. 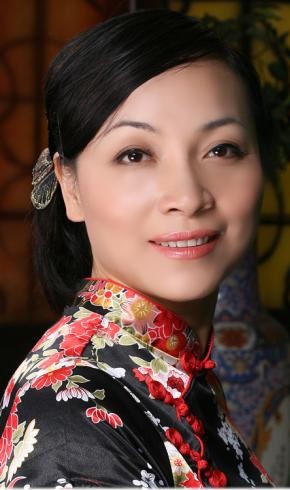 She has had more than 100 English and Chinese poems published since 2004. She has authored five poetry books, including Wings Toward Sunlight (2011) and Inhaling the Silence (2013), which were published by Mosaic Press. Her poems in both English and Chinese, along with translations in 10 different languages, have been used in a Canadian Studies textbook by Humber College. Her poem Still Life is displayed on 700 buses across Canada for the Poetry in Transit project. She was a “Living book” for the Living Library at the Mississauga Campus of University of Toronto and is the current Ontario representative to the League of Canadian Poets. Her “Poetry Alive” events have pioneered a new approach in poetry combining computer arts and audience participation. Her workshops are welcomed at schools, colleges and libraries, especially for the Poets at Schools programs. Anna was a finalist of the Canada’s Top 25 Canadian Immigrants Awards in 2011 and 2012. She has been interviewed by many media including CBC Radio, Rogers TV and China Central Television. She has won a number of poetry awards, including the 2005 Ted Plantos Memorial Award and the 2010 MARTY Award.